Welcome to Rebuilding & Fabricating Inc. Rebuilding & Fabricating Inc. was founded by Joe Yusko over 30 years ago. Joe has over 45 years experience in process knowledge and rebuilding capabilities dedicated exclusively to the plastics industry. Rebuilding & Fabricating is located in Elyria, OH (30 miles West of Cleveland, OH) where used equipment is stocked or rebuilt at our 22,000 sq. ft. facility. 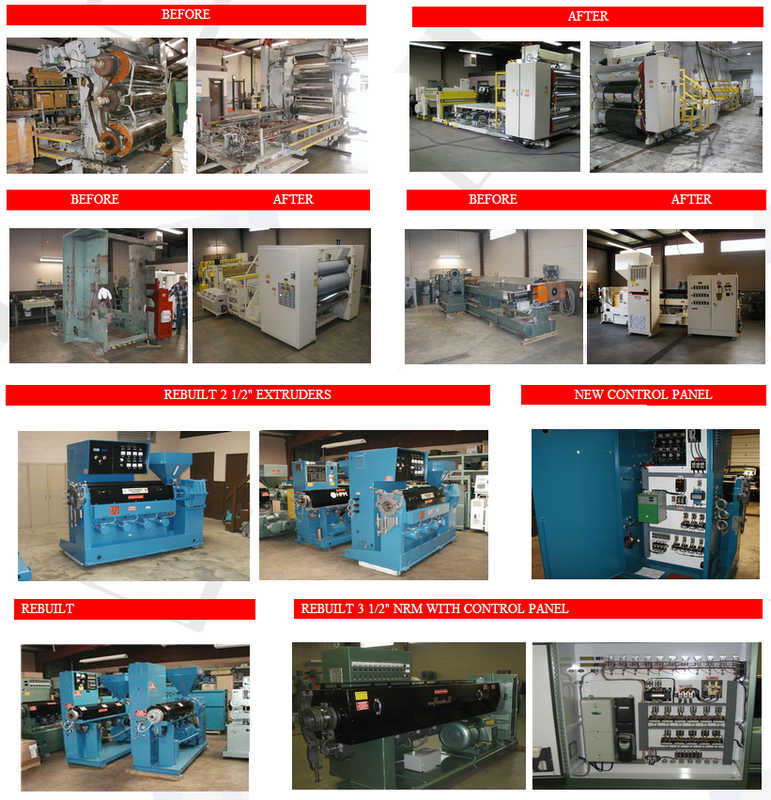 We enjoy great pride in our equipment rebuilding and it shows in the end product. Our customers are always welcome to visit our facility to inspect the finished product before it is shipped or to inspect our large inventory of used equipment. If we do not have the item in stock that you require for your process we will locate it for you from our many sources throughout the United States. • All Profile Downstream Equipment i.e. 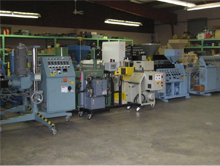 Contact us at (440)322-0844 in Elyria, Ohio, for more information about our machine rebuilding services.